Penthouse at Port Moody — Joy Chang Design Inc. 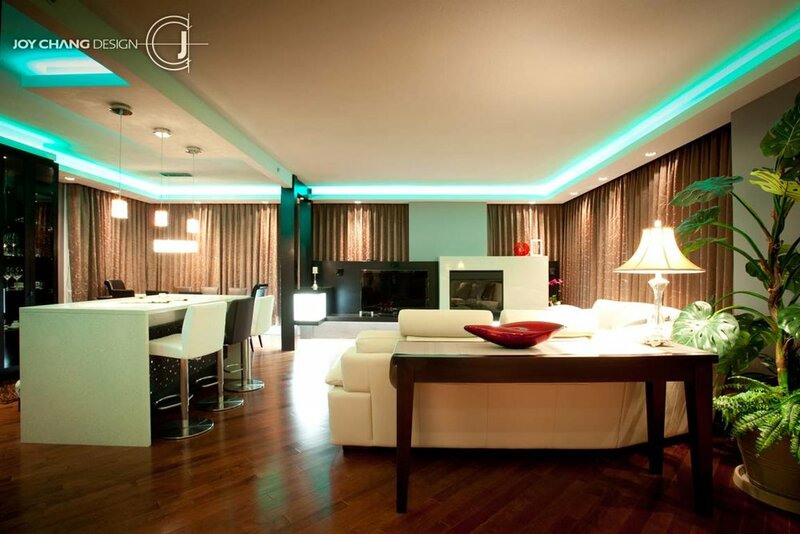 The multi-colored led lights accents the theme of this contemporary penthouse overlooking Port Moody. The glass partition serves as one of the main features that bridge the living area and bedroom. 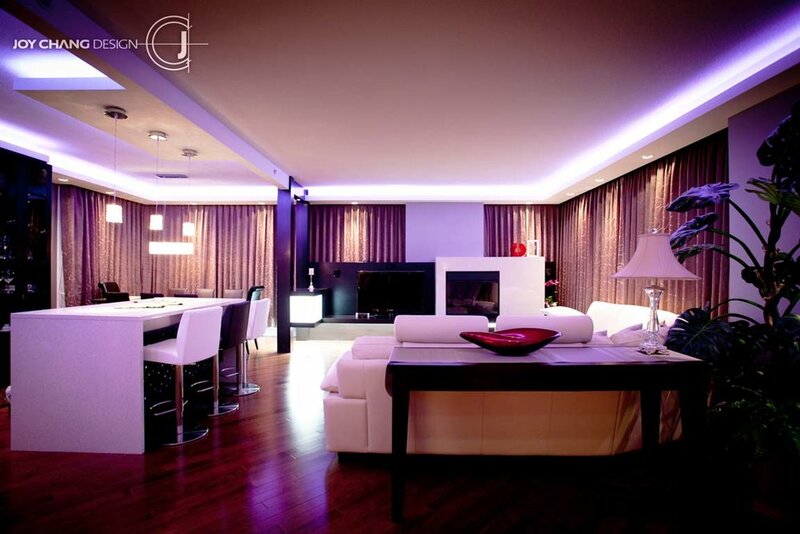 The choice of drapery along the glass partition is tactically used to soften the cold feeling of the modern design.